Track your time on the go with the TrackingTime mobile app for Android. Manage your tasks and track your working time everywhere you go. 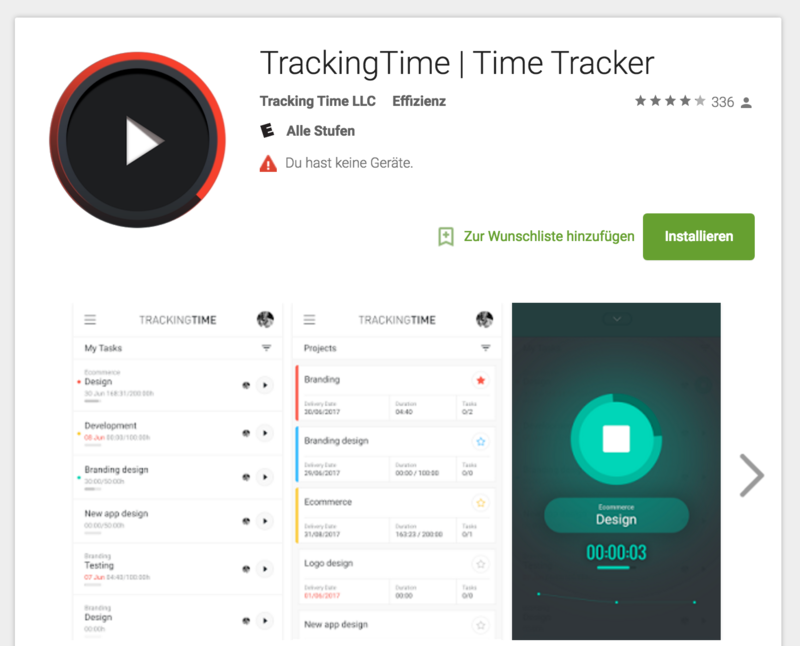 Get TrackingTime for Android in the Play Store: TrackingTime for Android. Get Organized: Your personal task list helps you get organized and get things done with style and ease. Track Time on The Go: Keep track of your working times right from your task list, in real-time and with just one tap — no need to fill out timesheets or set up timers. Stay Focused: Set deadlines and time budgets to always stay focused. The app will visually help you keep all your tasks on track. Divide and Conquer: Break complex tasks that require lots of hours of work into smaller achievable goals. Edit Time Entries: Add and edit your time entries manually. This is useful when you forgot to track some work or want to edit existing time entries. Cloud Sync: All tasks and time entries are seamlessly synced with your cloud-based TrackingTime account. Sign in to our web and desktop apps to manage your projects, delegate tasks and create reports.